Now what…..living in the in between of MOBY AND OUTLANDER Starz – My Outlander Blog! I think that statement needs some space around it because that’s how I’m feeling. Reading Written in My Own Hearts Blood was a singular event around which I created space. Schedules were cleared, family was prepared, writing stopped and reading time was found. My “real” life was placed in a holding pattern while I embarked on a long awaited journey. It was, as expected, a wonderful trip around Diana Gabaldon’s world of adventure/romance/fantasy/medical/historical fiction. You would THINK that I would now feel satisfied after this epic reading experience, but…alas….no. I still want more. I dread the day she is finished writing the series. (And I know it’s coming Herself said so). I think I will truly feel grief. These characters have become so real to me that I just know I’ll be devastated by their ultimate and unavoidable end. We’ve all read sequels we know were only written because someone was willing to pay money to read them. Diana is too good of a writer to let that happen. She won’t push the story beyond what she knows is the end; she has integrity. So, it just can’t go on forever despite my wishes. 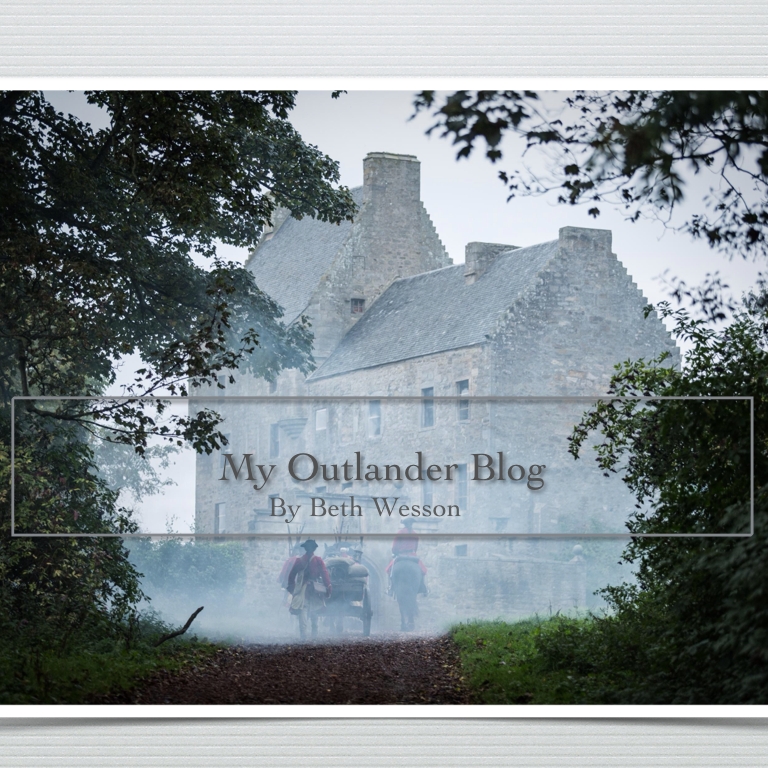 As any of you have read my blog before know, I find a lot to think about and write about Outlander. The series has become my own personal intellectual playground. I delight in studying and analyzing how Ms. Gabaldon weaves and reveals examples of human nature through this tale. I find truths in these pages, truths about relationships, faith, people, and the irony and wonder in living. As all readers do, I bring my own life experiences with me when I read and I’m constantly making connections and finding ways to relate to what’s written. In fact, the series has been woven into the fabric of my own life. It has become a point of reference for me, some how, all things can be explained by an example from Outlander. I’m fighting the urge to laugh at myself because it seems a bit ludicrous to think a book series has become this important to me. But, if I’m honest, and I am, it is that important to me. So, naturally, I don’t want this to end. The experience is too new for me to start picking it apart and I don’t feel emotionally prepared to move on to different reading material. So, what’s a Gabaldon reader to do in the in between? “…All the interim is like a phantasm, a hideous dream…”, Shakespeare,Julius Caesar. Wait….the TV series! 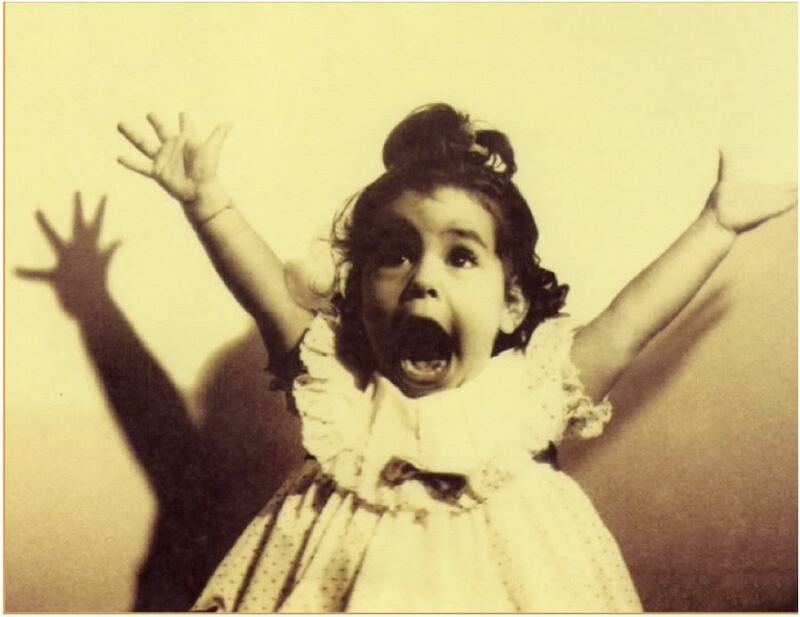 (like I forgot) It’s not a new book, but ….it’s Outlander! Jamie! Claire! Black Jack! And they are less than two months away! Like most of the series’ fandom, I’m all on board for this adaptation. Ron Moore, actors and staff seem to be all about honoring my beloved book and I’m really looking forward to Aug. 9th. But, I wonder how I’ll react to actually seeing something I feel so attached to come to life? I think I’ll be thrilled, but there is part of me that is afraid it will some how lessen my experience with the book. I have my own versions of Jamie, Claire and Back Jack and I just know that once I see Sam, Cait, and Tobias in these roles they will be forever assimilated with my mind’s image of these characters. How could they not? Hmmmm,…not sure how I feel about that. But, If I’m honest, and once again, I am, I think I’m going to love it. What’s the worst that can happen? I get disappointed and have to go back to reading? I’m thinking it might be worth the risk to see and hear my story. Definitely. I finished reading MOBY and Starz Outlander is Aug. 9th. Tickling trout and Catching craw dads… Outlander helps me remember wonders. I’m going to offer something about the TV series. I may be in the minority, but I rarely see TV or movie actors in place of the ones I envision when I read a book. For instance, I saw the first Harry Potter movie before I read the books. But to this day, I do not see Daniel Radcliffe when I read; it’s still my own versions of Harry, Ron and Hermione. I think it’s because the words bring certain images to mind, and the images that Diana’s words invoke are so strong that I don’t worry about it really. And to be honest, if I find that an actor’s image tries to creep in there, I push it back out! I make an effort to keep them separate. If that makes me crazy, so be it. I think it’s helpful to think of them as two different things, because they are. This is obviously an adaptation, and a culmination of many people’s interpretations of the the events and characters. For instance, the character of Jamie is going to be filtered through Sam Heughan in a way. He will bring something of himself into the role. They are not trying to reproduce the reading experience; they’re trying to create a visual interpretation of the essence of the books. And that will naturally change some things. As Caitriona Balfe wisely said, it’s a companion series, not a replacement. I loved your comments! And I agree that Cait’s companion piece comment was insightful. I just don’t know that I’ll be able to hang on to my images if the actors are as good as everyone seems to think. I admire your strong belief in your reading experience not changing. Thanks for reading and taking time to comment. I love exchanging ideas. I finished MOBY on Tuesday, a week after it arrived in my Nook & my Audible libraries. Originally I’d intended to read quickly with as few stops as possible. But then I began to want to drag it out, to savor the newness of it. I only found the world of Outlander this past January but jumped in with both feet and wallowed in it like the White Sow in a puddle of mud! I finished all the main books plus The Scottish Prisoner in time for MOBY. I’ve made new friends through the Outlander community & turned on several of my existing friends to Jamie & Claire . I’ve got my ticket to Diana’s book signing in Dallas (just 3 days away!) & I’m relieved that we’ve already got a subscription to Starz so my cable costs won’t have to increase to accommodate this new passion. I’m even contemplating a trip to Scotland if I find a job soon that will enable me to save up the needed funds. The horizons this book has opened for me have helped me to see the possibilities in my current world in a new & exciting way. I’m working on writing fiction. I’ve already had non-fiction magazine articles published but fiction has always been frightening for me. I’m one of those types who is easily crushed by criticism and since I am fortunate to count several published & well-known writers as personal friends, I know how harsh the world can be. So I put off doing any writing because, well … I have to do it right the first time & it has to be *perfect* to be shown to anyone else, right? And one of the most important things it’s done is to make me feel a part of a community, one filled with like-minded people who have the potential to become good friends, regardless of physical limitations & distances. I’ve enjoyed following your blog and your insights. Please keep sharing! Debbie, Thank you so much for your comments! I found myself chuckling because so much of what you said resonated. You’ve been published! That’s wonderful. I just started this blog Feb. as a way to get started writing. I’ve been told I should write, but like you there was some fear. I never intended for anyone but a few family members to read this blog, but fate took a hand. I wrote about it of course, “what happened when I pressed a button….” Now I’m putting myself out there and getting to talk to people like you….thanks to DG and Outlander. You have friends that are writers? I’m envious of that It is tough to find mentors that will be honest with you and not have ulterior motives (had a bad experience trusting someone). I’m glad you enjoy my pieces, thanks again. I’m with you! came to the last paragraph [and on Kindle, I didn’t realize I was there!} and thought, no wait, there’s got to be more…can’t stop now. I think I liked the cliff hanger in Echo better. Your right! It really could end there. It’ll be interesting to see where she takes them! Beth – really enjoy your blog. I’m wondering the same thing – I always thought I’d be able to keep MY Jamie and MY Claire in my head while reading and then simultaneously enjoy Sam and Cait as these characters on screen. I had a week to kill before MOBY so I picked up Outlander again, figuring I would re-read yet again before the tv series. I was shocked to find that I now pictured Sam and Cait! Crap! Didn’t mean for that to happen and kept catching myself doing it. I guess it’s because I’m trying to imagine how the actors will pull off the different scenes. Then I got MOBY and was please to find that my 50-something Jamie and Claire just couldn’t be Sam and Cait. I’m not so creative (luckily) that I can age the real people in my imagination. After finishing MOBY, I went back to finish Outlander and I had my young Jamie and Claire back. We’ll see what happens once the series starts, but it will be an interesting neurological experiment either way! I had a Jamie in my head drawn by a fan. He’s still there, but not sure what will happen if these actors are as good as everyone says! Thank you so much for reading and commenting.This has been one strange day! I am so RIGHT THERE WITh YOU on everything you’ve said about Outlander. I was stunned when I finished MOBY…had to reread it four times. I dream about them, too, and never want it to end, although I know it must, sometime. Leave it to Diana to make characters this real! I finished MOBY on Sunday, and since then have been in a funk…dreaming of them etc. I’m new to these boards /forum. I’ve only read these books after pressure from a good friend (also a writer.) She knows what a reader I am, and she’s been friends with Diana since the 90’s , and STRONGLY recommended them (probably a dozen times.) I devoured all of them in about 6 months – (1st book was pretty explicit…) but I loved all the detail about that period of history. I’m in the medical profession, (pharmacology- and I grow most of the plants she writes about.) So all of the medical details were especially exciting for me. Also I learned so much about Scotland & England (I’m a mixture of both + Shawnee) and it made me want to visit the Isle and see where some of my ancestors came from. About the TV series- I’m not normally a TV watcher, but I’m going to call in the next week or so and order STARZ. I love the actors that have been chosen, and I will put off almost anything to watch. It looks absolutely lovely. I’m also contacting all of my friends and family to have them tune in. They may have no idea what Outlander is- but I know they won’t be disappointed. If they think Downtown Abbey is fantastic- what will they think of this? I loved reading this! You are the voice of what I believe will happen when people read these stories and what I hope will happen when folks watch Starz Outlander. Thank you for reading my blog as you can tell I love these books and their author. I’m not sure how to do it (tech savy less), but I’d like to show your response to Starz. Ok with u?